The 90th Annual Academy Awards (The Oscars) takes place March 4 2018 And will be hosted by Jimmy Kimmel. The Oscar nominations for this year were announced on Tuesday morning from the Samuel Goldwyn Theater in Beverly Hills, California. where Academy President John Bailey was joined by Tiffany Haddish and Andy Serkis to reveal the nominees in 24 categories. Award Winning Afghan-born American novelist and physician Khaled Hosseini was born March 4, 1965. he has lived in the United States since he was fifteen years old. His 2003 debut novel, The Kite Runner, was an international bestseller, with the paperback spending 101 weeks on the bestseller list In 2007, it was followed by A Thousand Splendid Suns which has spent 21 weeks on The New York Times Best Seller list for paperback fiction and 49 weeks on The New York Times Best Seller list for hardcover fiction (#1 for 15 of those weeks). The two novels have sold more than 38 million copies internationally. Hosseini was born in Kabul, Afghanistan, in 1965. In 1970 Hosseini and his family moved to Iran where his father worked for the Embassy of Afghanistan in Tehran. In 1973 Hosseini’s family returned to Kabul, and Hosseini’s youngest brother was born in July of that year. In 1976, when Hosseini was 11 years old, Hosseini’s father obtained a job in Paris, France, and moved the family there. They were unable to return to Afghanistan because of the Saur Revolution in which the PDPA communist party seized power through a bloody coup in April 1978. Instead, a year after the Soviet invasion of Afghanistan, in 1980 they sought political asylum in the United States and made their residence in San Jose, California. Hosseini graduated from Independence High School in San Jose in 1984 and enrolled at Santa Clara University, where he earned a bachelor’s degree in biology in 1988. The following year, he entered the University of California, San Diego, School of Medicine, where he earned his M.D. in 1993. He completed his residency in internal medicine at Cedars-Sinai Medical Center in Los Angeles in 1996. 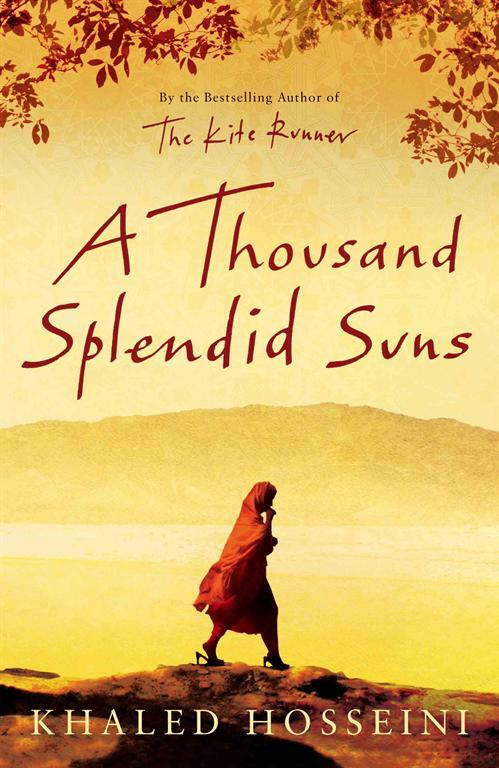 Hosseini’s second novel, A Thousand Splendid Suns, was published in 2007, and is also set in Afghanistan. The story addresses many of the same issues as Hosseini’s first, but takes a more feminine perspective. It follows the story of two women, Mariam and Laila, whose lives become entwined. The story is set during Afghanistan’s tumultuous thirty-year transition from Soviet occupation to Taliban control and post-Taliban rebuilding. The novel was released by Riverhead Books on May 22, 2007, at the same time as the Simon & Schuster audiobook. Movie rights have been acquired by producer Scott Rudin and Columbia Pictures. Hosseini’s third novel And the Mountains Echoed was released in, 2013. The novel opens in the year 1952. Saboor, an impoverished farmer from the fictional village of Shadbagh, decides to sell his three-year-old daughter Pari to a wealthy, childless couple in Kabul. The choice devastates his ten-year-old son, Abdullah, who raised Pari following their mother’s death in childbirth and the novel tells of the Intertwining destinies of each character. This novel deviates from Hosseini’s style in his first two works through his choice to avoid focusing on any one character. Instead the book is written similarly to a collection of short stories, with each of the nine chapters being told from the perspective of a different character. Hosseini said, “I am forever drawn to family as a recurring central theme of my writing. My earlier novels were at heart tales of fatherhood and motherhood. My new novel is a multi-generational family story as well, this time revolving around brothers and sisters, and the ways in which they love, wound, betray, honor, and sacrifice for each other. I am thrilled at the chance to share this book with my readers Hosseini is currently a Goodwill Envoy for the United Nations High Commissioner for Refugees (UNHCR) and has been working to provide humanitarian assistance in Afghanistan through the Khaled Hosseini Foundation. The concept for which was inspired by the trip to Afghanistan that Hosseini made in 2007 with UNHCR. After a second marriage in the mid-1990s to Helen Knode (author of the 2003 novel The Ticket Out), the couple moved from California to Kansas City in 1995. In 2006, after their divorce, Ellroy returned to Los Angeles He is a self-described recluse who possesses very few technological amenities, including television, and claims never to read contemporary books by other authors, aside from Joseph Wambaugh’s The Onion Field, out of concern that they might influence his own. However, this does not mean that Ellroy does not read at all, as he claims in My Dark Places to have read at least two books a week growing up, eventually shoplifting more to satisfy his love of reading. He then goes on to say that he read works by Dashiell Hammett and Raymond Chandler. In 1981, Ellroy published his first novel, Brown’s Requiem, a detective story drawing on his experiences as a caddie. He then published Clandestine and Silent Terror (which was later published under the title Killer on the Road). Ellroy followed these three novels with the Lloyd Hopkins Trilogy. The novels are centered on Hopkins, a brilliant but disturbed LAPD robbery-homicide detective, and are set mainly in the 1980s. While his early novels earned him a cult following and notice among crime fiction buffs, Ellroy earned much greater success and critical acclaim with the L.A. Quartet—The Black Dahlia, The Big Nowhere, L.A. Confidential, and White Jazz. The four novels represent Ellroy’s change of style from the tradition of classic modernist noir fiction of his earlier novels to what has been classified as postmodern historiographic metafiction. The Black Dahlia, for example, fused the real-life murder of Elizabeth Short with a fictional story of two police officers investigating the crime. In 1995, Ellroy published American Tabloid, the first novel in a series informally dubbed the “Underworld USA Trilogy” that Ellroy describes as a “secret history” of the mid-to-late 20th century. Tabloid was named TIME’s fiction book of the year for 1995. Its follow-up, The Cold Six Thousand, became a bestseller. The final novel, Blood’s a Rover, was released on September 22, 2009. After publishing American Tabloid, Ellroy began a memoir, My Dark Places, based on his memories of his mother’s murder, the unconventional relationship he had with her, and his investigation of the crime. In the memoir, Ellroy mentions that his mother’s murder received little news coverage because the media were still fixated on the murder of mobster Johnny Stompanato, who was dating actress Lana Turner. Frank C. Girardot, a reporter for The San Gabriel Valley Tribune, accessed files on Geneva Hilliker Ellroy’s murder from detectives with Los Angeles Police Department. Based on the cold case file, Ellroy and investigator Bill Stoner worked the case but gave up after 15 months, believing any suspects to be dead. In 2008, The Library of America selected the essay “My Mother’s Killer” from My Dark Places for inclusion in its two-century retrospective of American True Crime. Ellroy is currently writing a “Second L.A. Quartet” taking place during the Second World War, with some characters from the first L.A. Quartet and the Underworld USA Trilogy returning younger. The first book, Perfidia, was released on September 9, 2014. The second book is titled This Storm which has a release date of September 2018. A Waterstones exclusive limited edition of Perfidia was published two days after its initial release and included an essay by Ellroy titled “Ellroy’s History — Then and Now” Ellroy dedicated Perfidia “To Lisa Stafford.” The epigraph is “Envy thou not the oppressor, And choose none of his ways” from Proverbs 3:31. Chris Squire, bass player, vocalist and Founding member with the Progressive Rock bands YES, XYZ and Conspiracy was Born 4 March 1948. Squire grew up in central London, where, in 1964, he was suspended from school for having long hair. He played in a few bands in the 1960s, including the Selfs, the Syn, and Mabel Greer’s Toyshop. It was through that last band that he met Jon Anderson. The two bonded over Simon and Garfunkel’s music. They formed Yes in 1968 and released their debut album in 1969. 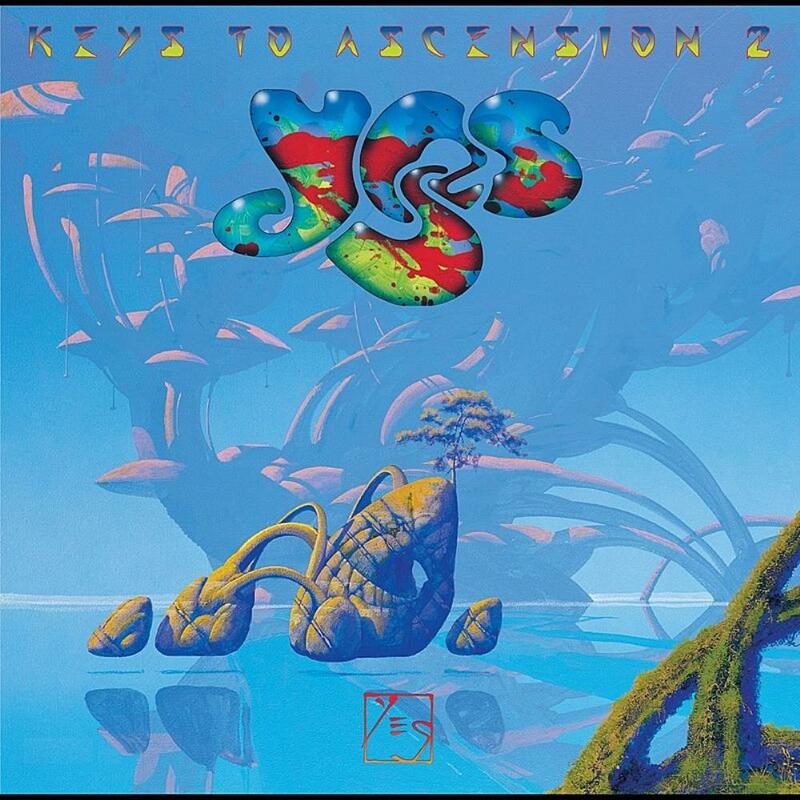 Yes went on to achieve worldwide success with their progressive music, mystical lyrics, elaborate album art, live stage sets and symphonic style of rock music. They are regarded as one of the pioneers of the progressive genre. 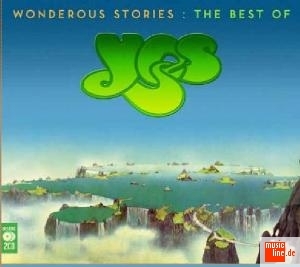 They were Formed in 1968 by Jon Anderson and Bill Bruford and released two albums together but began to enjoy success after the release of The Yes Album and Fragile, which featured new arrivals Steve Howe and Rick Wakeman. They achieved further success with the albums Close to the Edge and Tales from Topographic Oceans. Wakeman was replaced by Patrick Moraz, who played on Relayer (1974). Wakeman returned on Going for the One (1977) and Tormato (1978). Anderson and Wakeman left the group due to musical differences amongst the band in 1980, and both went on to pursue solo careers. Their replacements, Trevor Horn and Steve Downes, featured on Drama (1980) and its supporting tour before disbanding in 1981. Howe and Downes went to form Asia. Yes reformed in 1982 after Squire and White were joined by the returning Jon Anderson and Tony Kaye, with the addition of guitarist Trevor Rabin. They adopted a pop rock sound and released the number one single “Owner of a Lonely Heart” and 90125 (1983), their best-selling album to date, followed by Big Generator (1987). Anderson left and co-formed the side project Anderson Bruford Wakeman Howe with the named members in 1989. Following a legal battle amongst both Yes groups, they formed an eight-man band to perform on Union (1991) and its supporting tour. Rabin and Kaye featured on Talk (1994) before leaving, while Wakeman and Howe returned with Keys to Ascension (1996) and Keys to Ascension 2 (1997). Wakeman was then replaced by Igor Khoroshev, who was featured on Open Your Eyes (1997) and The Ladder (1999) along with guitarist Billy Sherwood. The release of Magnification (2001) marked the first album since 1970 to feature an orchestra. Squire also joined the short-lived supergroup XYZ, (ex-Yes, Zeppelin) which featured Squire, Yes’ Alan White, and Led Zeppelin’s Jimmy Page. In 2002, Wakeman returned for the band’s 35th anniversary tour. The band ceased to tour in 2004, partly due to health concerns regarding Anderson and Wakeman. 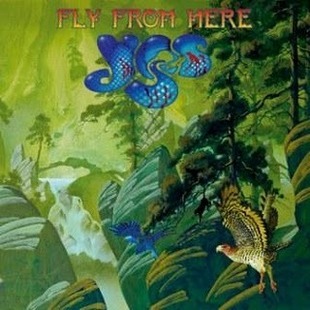 Following a hiatus, Yes restarted in 2008 with keyboardist Oliver Wakeman and singer Benoît David. After the release of Fly from Here (2011), which saw Downes returning on keyboards, David was replaced by Jon Davison, lead singer of progressive rock band Glass Hammer, on vocals. Sadly though Chris Squire, died 27 June 2015 at the age of 67, following his battle with Acute Erythroid Leukemia, with which he was diagnosed in 2015. He had been a member of the band’s current line-up alongside singer Jon Davison, guitarist Steve Howe, drummer Alan White, and keyboardist Geoff Downes and was the longest serving member of the band. The band’s first show of their tour with Toto on 7 August 2015 marked the first Yes concert ever performed without Squire. From 1991 to 2000, Rickenbacker produced a limited edition signature model bass in his name, the 4001CS. Squire released two solo albums, Fish Out of Water (1975) and Chris Squire’s Swiss Choir (2007), a Christmas album. He was posthumously inducted into the Rock and Roll Hall of Fame as a member of Yes in 2017. Writer, Amateur Astronomer and Television personality Sir Patrick Moore CBE FRS FRAS was Born 4 March 1923, in Pinner, Middlesex, on March 4 1923. He was the son of Captain Charles Caldwell-Moore, MC. Later the family moved to Sussex, where Patrick was to live for the rest of his life. He was educated at home owing to ill health, and wrote his first scientific paper at the age of 13 — his chosen subject was the features in a lunar crater he had seen through a small telescope. At the end of 1941 he joined the RAF to train for aircrew duties during World War II; however his fiancée was killed by a bomb during the war. During 1943 left for Canada for training as a navigator, was commissioned in June 1944 and completed his training at a bomber conversion unit at Lossiemouth in northern Scotland. However due to epilepsy, was declared medically unfit for further flying duties and He left the Service in 1947. From 1952 he was a freelance writer until One day in 1957 the BBC broadcast a somewhat sensationalist programme about flying saucers. Producers wanted a counterview by a “thoroughly reactionary and sceptical astronomer who knew some science and could talk”, consequently The Sky at Night was born, and it went on to become the world’s longest-running television series with the same original presenter & attracted millions of viewers. Moore’s Idiosyncrasies such as his rapid diction and monocle made him a popular and instantly recognisable figure on British television, where he became celebrated for the thunderous fervour with which he would utter the words: “We just don’t know!” to emphasise that our comprehension of the universe is incomplete. The secret of the program’s success lay not only in his tremendous learnedness but also in his gusto and humour & he soon attained a prominent status as a writer, researcher, radio commentator and television presenter and did more than anyone, with the possible exception of Arthur C Clarke, to educate the British public about astronomy and space travel. He would also happily appear on chat shows, quiz shows and comedy shows, among them The Goodies; Morecambe and Wise; Blankety Blank, and Have I Got News For You. He even starred in digitised form on the children’s video game show GamesMaster. Moore was also a connoisseur of music, and sometimes played a xylophone on television. He also wrote the score for an opera about Theseus and the Minotaur. He was also a keen sportsman and proved a demon spin bowler on the Cricket Pitch. He also played golf and once at his local course set a club record – of 231, including a 43 on the third hole. Chess was another passion (he often carried with him a pocket chess set) and even dabbled in politics. In 1982 he wrote a humorous but inflammatory book called “Bureaucrats: How to Annoy Them”. It advised that imposing a thin layer of candle grease on those parts of a form marked “for official use only” would prevent the recipient from writing anything and probably drive him mad. “Useful when dealing with the Inland Revenue,” said Moore. He was also A keen pipe smoker & was elected Pipeman of the Year in 1983. In addition to his many popular science books, he wrote numerous works of fiction. Moore was an opponent of fox hunting, an outspoken critic of the European Union and served as chairman of the short-lived anti-immigration United Country Party. After his fiancee was killed during World War II, he never married or had children. Moore was also a former president of the British Astronomical Association, co-founder and former president of the Society for Popular Astronomy (SPA), author of over 70 books most of them about astronomy, As an amateur astronomer, he became known as a specialist on observing the Moon and creating the Caldwell catalogue. In 2002 Moore was appointed honorary vice-president of the Society for the History of Astronomy. He also won a Bafta for his services to television. He also continued to publish books to the end of his life. Recent titles include Patrick Moore on the Moon (2000, new edition 2006); The Data Book of Astronomy (2001); Patrick Moore: the autobiography (2005); Asteroid (with Arthur C Clarke, 2005); Stars of Destiny (2005); Ancient Lights (2008); and Can You Play Cricket on Mars? (2009). This year alone he published Astronomy with a Budget Telescope: An Introduction to Practical Observing; The Sky at Night: Answers to Questions from Across the Universe; Miaow! : Cats really are nicer than people! ; and The New Astronomy Guide: Star Gazing in the Digital Age. He was appointed OBE in 1968, CBE in 1988 and knighted in 2001. In 1982 a minor planet was named after him by the International Astronomical Union. He also held the posts of president of the British Astronomical Association and director of the Armagh Planetarium in Northern Ireland. Yet the Royal Society refused to elect him as a Fellow — one of their number declared that he had committed the ultimate sin of “making science popular”. In 2001, however, he was elected to an honorary Fellowship. Sadly Moore Passed away 9th December 2012 aged 89 however he leaves a rich legacy and is fondly remembered by many.